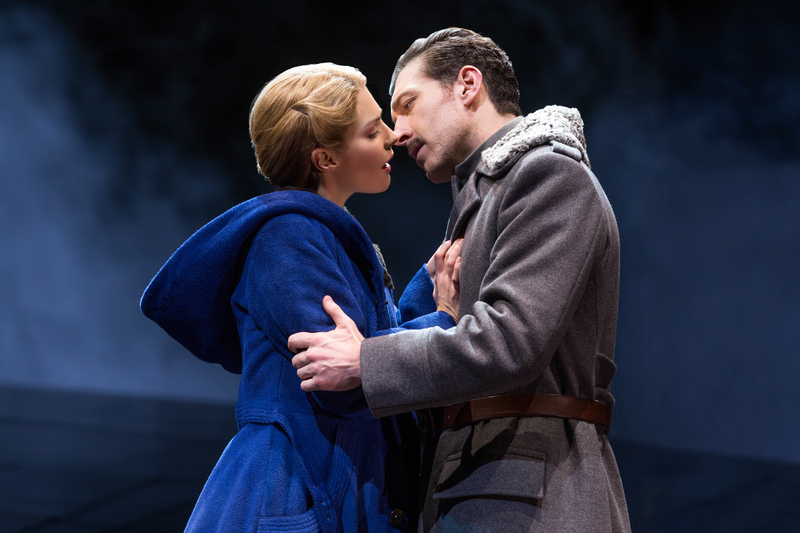 Broadway review: ‘Doctor Zhivago’ sings! 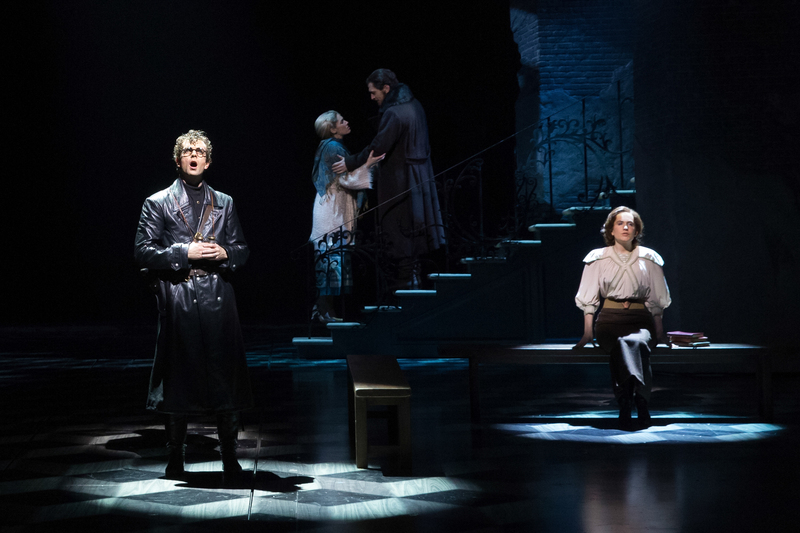 Somewhere, my love, there might be a sweeping romantic musical to be made of Boris Pasternak’s 1957 doorstop Doctor Zhivago about forbidden love during the Russian Revolution. But it isn’t to be found in the lumpy big-budget epic that lumbered into the Broadway Theatre after nearly a decade of development here and abroad. 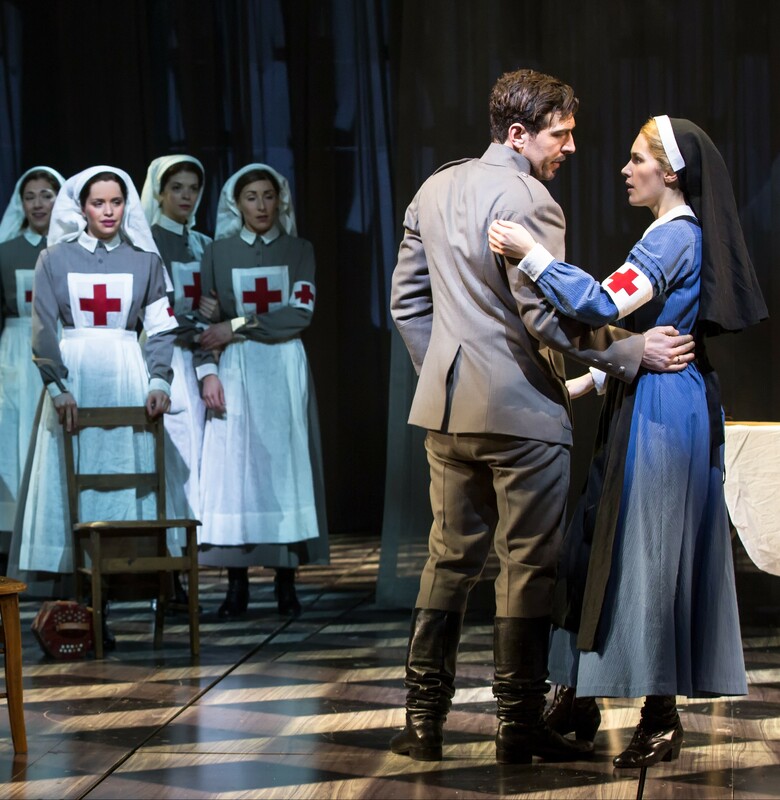 Fans of David Lean’s 1965 movie adaptation will be pleased to know that “Somewhere My Love,” that syrupy easy-listening hit adapted from Maurice Jarré’s Oscar-winning score, has been shoehorned into the first act, as a group number for Lara and the nurses toiling in a field hospital during World War I. But despite its similar symphonic ambitions, Lucy Simon’s new score too often crosses from melody into bombast. There are some solidly constructed if largely unmemorable tunes throughout, and they are well sung by a talented cast led by London import Tam Mutu. The Les Misérables vet brings a stolid masculinity to the title role, an upper-class physician and poet with an idealistic streak and a mostly star-crossed interest in the blond beauty Lara (Kelli Barrett, who makes a less strong impression). Yuri Zhivago is not the only claimant for Lara’s affections: There is also the pervy aristocrat Viktor Komarovsky (Tom Hewitt), who employs her mother in a store and has been imposing himself on her for years, and the young student revolutionary (Paul Alexander Nolan), who marries her before disappearing during World War I and later turning into a sadistic apparatchik after the Bolsheviks take over Russia. Much of director Des McAnuff’s production seems at war with itself, and with earlier, more successful attempts at bringing large-scale storytelling to life on stage. Les Misérables casts a long shadow here — the fire curtain at intermission offers a literal nod to that show’s “Empty Chairs at Empty Tables.” The sophisticated high-tech set, designed by Michael Scott-Mitchell, swiftly changes scenes from palaces to battlefields — aided greatly by a gigantic LED screen upstage with videos by Sean Nieuwenhuis that suggest everything from smoke to fire to teeming crowds of extras. But McAnuff & Co. also deploy video projections in more cheesy ways, as when Zhivago sings of Lara’s sexual assaults by Viktor with a giant projection of her doffing her dress and baring her shoulder appears on a curtain behind him. It’s like a scene from one of those dreadful theme weeks on American Idol.